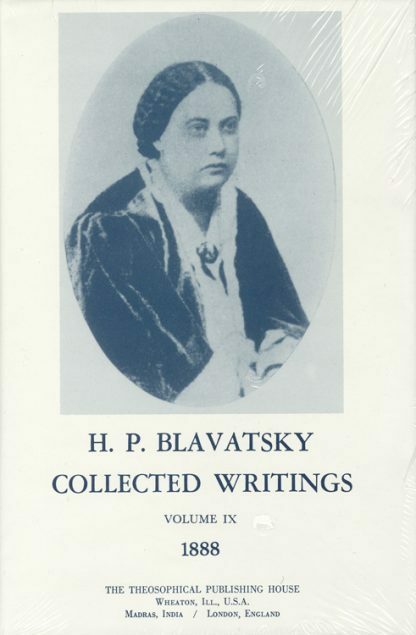 The definitive edition of HPB's writings in 15 volumes. Volume 9 is from 1888, and includes articles such as: 'The Church and the Doctrine of Atonement'; 'The Life Principle'; 'What Good has Theosophy done in India? '; 'Occultism versus the Occult Arts'; 'Karmic Visions'; 'Controversy with the Abbe Roca continued'.